While out shopping with my mom & sister on Monday, I noticed that coral really is the color for this spring. 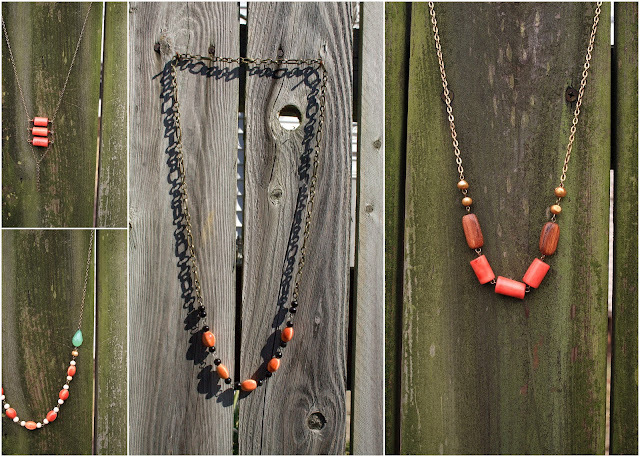 Everything is color block, coral, & hints of neon. I have to say, I am ALL OVER THIS. Bright colors are the bomb & spring is just around the bend! It was so cold & dreary on Monday (and Sunday, too!) that I was so happy to see these bright colors. I mean c'mon....even my blog links are in mint & a pale coral color. These are like the big kid pastels. Remember when you were little & once spring came around your mom dressed you in soft pastel pants & shirts with little bunnies on it? No? Was it just me? Well, none the less I am loving the spruced up pastel feel of these Spring colors. I am also loving the colors translated in to polishes. You know I am about to bust out my neon yellow polish from Icing! I thought about snapping some pictures in the mall because it was totally apparent that Spring was in the air. I am still a little bit apprehensive about whipping out my iphone & snapping away. People may think I am weird, right? A bit crazy? My sister, mom, & I went to a yummy Mexican restaurant before heading out. My sister fell victim to the trend & picked up some awesome yellow shorts from LOFT. Those coral & mint beads were just calling to me! I had to answer! Are you happy that Spring is just around the corner? Wearing any fun colors to usher it in? baaaaahhhh me loves the corals! :) I bought some coral lipstick a few weeks ago, and I feel like once spring really hits, I'll probably wear it every day. I love me some Coral. I love your style set!